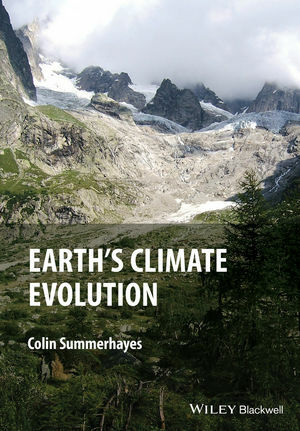 Colin Summerhayes is an Emeritus Associate of the Scott Polar Research Institute of Cambridge University. He has carried out research on past climate change in both academia and industry: at Imperial College London; the University of Cape Town; the Woods Hole Oceanographic Institution; the UK’s Institute of Oceanographic Sciences Deacon Laboratory; the UK’s Southampton (now National) Oceanography Centre; the Exxon Production Research Company; and the BP Research Company. He has managed research programmes on climate change for the UK’s Natural Environment Research Council, the Intergovernmental Oceanographic Commission of UNESCO, and the Scientific Committee on Antarctic Research of the International Council for Science. He has co-edited several books relating to aspects of past or modern climate, including North Atlantic Palaeoceanography (1986), Upwelling Systems: Evolution Since the Early Miocene (1992), Upwelling in the Oceans (1995), Oceanography: An Illustrated Guide (1996), Understanding the Oceans (2001), Oceans 2020: Science, Trends and the Challenge of Sustainability (2002), Antarctic Climate Change and the Environment (2009), and Understanding Earth’s Polar Challenges: International Polar Year 2007-2008 (2011).